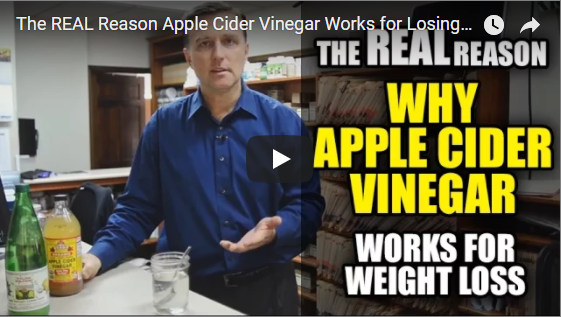 According to Dr. Eric Berg, there’s a great chance you need more apple cider vinegar (ACV) in your life–and he can back it up with some simple chemistry anyone can understand. I had always categorized ACV under “home remedy-may or may not work”. This video has completely changed my mind. ACV is now officially part of my daily and pre-meal routines. It also explains the mystery of “Vitamin C” (ascorbic Acid-which isn’t actually Vitamin C at all) works. Hint: it’s probably not why you think. Fascinating and simple. But most of all, it describes basic body chemistry you should know about because you’re probably going to need this sooner or later. He’s primarily coming in talking about weight loss, which is great and all. But there’s much more value in this video. Here’s why I personally found this so interesting. When my body hit around 45 or so, I noticed what felt like calcification of my soft tissues. I’d notice when doing normal activity. For example, if I’d be opening a door quickly, it might feel like I strained a tendon in my wrist. Or I’d get cramps in the middle of my feet sometimes with almost no prior strain/movement. Also, lately I’ve been trying to understand why it seemed as if my body would have certain reactions to high physical stress. For example, After 2-3 days doing hurricane preps with hurricane Irma on the way, I got what appeared to be a massive allergic reaction to, well, everything. Puffy eyes, tons of congestion, cramping and other strange symptoms. After being tested by my favorite nutritionist, I was put on a lot of calcium since I was apparently wildly deficient. The calcium would help a bit but there were other strange mineral issues going (trouble with electrolytes for example). Well I think I found the missing link. If any of this rings a bell for you, or you just want to lose some weight, watch this and see what you think. Feel free to drop me a comment after either here or on FB!